DeZURIK Level Sensor Isolation Valves are specially designed to mount between the stock chest and the level sensor. Allows removal of sensor without draining stock chest. 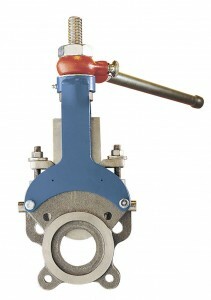 Rachet or socket drive actuator allows close mounting of valve to tank.